Ranks agitation and possibility for sedation. See Evidence for definitions of criteria. The RASS can be used in all hospitalized patients to describe their level of alertness or agitation. It is however mostly used in mechanically ventilated patients in order to avoid over and under-sedation. The Richmond Agitation and Sedation Scale (RASS) is a validated and reliable method to assess patients’ level of sedation in the intensive care unit. As opposed to the Glasgow Coma Scale (GCS), the RASS is not limited to patients with intracranial processes. RASS is mostly used in the setting of mechanically ventilated patients in the intensive care unit to avoid over- and under-sedation. A RASS of -2 to 0 has been advocated in this patient population in order to minimize sedation. This strategy has been shown to reduce mortality, and to decrease the duration of mechanical ventilation and the length of stay in the ICU. The RASS is different than the levels of sedation/analgesia used by the American Society of Anesthesia (minimal, moderate, deep, general), and the two should not be used interchangeably. Mechanically ventilated that are deeply sedated (RASS of -3 or less) have been shown to remain intubated and mechanically ventilated for longer periods of time. This in turn leads to longer ICU stays and higher mortality. Similarly, mechanically ventilated patients that are too agitated are at risk of self-extubation and of ventilator dyssynchrony. Patients with a RASS of -3 or less should have their sedation decreased or modified in order to achieve a RASS of -2 to 0. Patients with a RASS of 2 to 4 are not sedated enough and should be assessed for pain, anxiety, or delirium. The underlying etiology of the agitation should be investigated and appropriately treated to achieve a RASS of -2 to 0. A RASS score should be obtained on all hospitalized patients and at regular interval in all mechanically ventilated patients. Unless a patient meets indication for deep sedation, a protocol for minimal sedation (RASS -2 to 0) should be used. Select responsiveness level of patient. The inter-rater reliability of RASS was demonstrated in a single-center ICU population in 2 phases; before and after implementation of RASS. In the second phase of the study, the scale was shown to have good inter-rater reliability (k=0.80) among trained nurses. This single-center study prospectively assessed the inter-rater reliability of RASS in a medical ICU population. An excellent inter-rater reliability (k=0.91) was again demonstrated among nurses. Sessler CN, Grap MJ, Brophy GM. Multidisciplinary management of sedation and analgesia in critical care. Semin Respir Crit Care Med. 2001;22(2):211-26. Ely EW, Truman B, Shintani A, Thomason JWW, Wheeler AP, Gordon S et al. Monitoring sedation status over time in ICU patients: the reliability and validity of the Richmond Agitation Sedation Scale (RASS). JAMA 2003; 289:2983-2991. Sessler CN, Gosnell MS, et. al. The Richmond Agitation-Sedation Scale: validity and reliability in adult intensive care unit patients.Am J Respir Crit Care Med. 2002 Nov 15;166(10):1338-44. “Richmond Agitation Sedation Scale.” ICU Delirium and Cognitive Impairment Group. Web. 09/2014. Curtis Sessler, MD, is a professor at Virginia Commonwealth University (VCU) Health System. 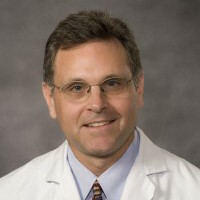 He is also director of the Center for Adult Critical Care and medical director of Critical Care and the Medical Respiratory ICU at the Medical College of Virginia (MCV). Dr Sessler’s research interests focus on ICU sedation, prevention of nosocomial infection, mechanical ventilation, and procedural competency.